Most Nutmeggers know about the oldest continuously operating ferry in the US that connects Rocky Hill and Glastonbury. About half of them probably know about the other old ferry – the second oldest in Connecticut – that connects Hadlyme and Chester. I’ve ridden and reported on both, here and here. Both cross the Connecticut River and both are rather historic and steeped in lore. But I’d wager not many know about an even older ferry crossing with an even larger cache: The oldest ferry in the United States; a service that began in 1648, well over a century before there even was a United States. That ferry was Bissell’s Ferry, and it connected Windsor and what is now South Windsor. The ferry service is no longer operational but the old boat launch roads allow us to get a good feel for what it was like here centuries ago. For thirty years there was no settlement on the east side of the river, the reason no doubt being, that the passage of the Connecticut was laborious in summer and difficult, or impossible, in winter; that the meadows on that side of the river being lower, were subject to floods and, too, there were the Podunk Indians to be considered, who occupied the land on the east side of the river. The Bissell family is regarded by historians as the pioneer family of the east side. In 1648, it was granted a monopoly of the ferry, still called Bissell’s Ferry, between Windsor and the hamlet of East Windsor, in the Town of South Windsor. There is a tradition in regard to this grant, that is interesting, if not founded upon fact, as Stiles claims. This tradition is, that John Bissell was sent by the Colony to England, in 1636, to purchase and bring back a supply of cattle as the previous winter had been so severe that many of their cattle had died. 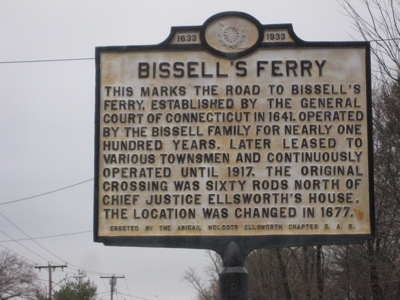 Mr. Bissell returned with seventeen cows and a bull and as an equivalent for his services he was granted the monopoly of the ferry across the Connecticut. Probably doesn’t look much different than it did in 1677. It stands to reason that the oldest ferry in the country began in what Windsorites regard as the first town in Connecticut: Their own. Although John Bissell originally operated the ferry so that he could graze his cattle on the East side of the river, it very quickly became a very important economic and transportation link between Boston on the East side of the river and Hartford, New Haven and New York on the West side of the river. The Bissell family had a monopoly on the ferry for 150 years. The ferry ceased operation after 269 years of service, in 1927. Knowing how much the Connecticut River floods, I imagine this was a rather difficult and spotty service for those first 200 years. At least now know the origin of the name of Bissell Bridge (I-291) north of Hartford. For the heck of it, here’s a cool story about a covered bridge that used to span the Connecticut a few miles north up in Enfield. I can’t really think of a better place to link this, so here you are. Thanks for the info and pictures on this ferry started by my great-great-great-great-great-great-great-great-grandfather. Look forward to seeing the site on my next visit to CT. I also appreciate the info. I too am supposedly related to John Bissell but have been unable to make the connection from him to Philemon Bissell who is my great, great, great grandfather… I believe. I am preparing an illustrated talk on colonial Connecticut and would like to find a picture of the Bell that was once used to call the ferryman from the opposite side of the river. I am a Bissell descendent from Zebulon Bissell and have long been interested in the family. My 6th gg (Grandson of Captain John)Thomas Bissell, b.1656 CT married Hester Ester Strong b. 1661 CT. I found Strong’s website & ordered their Family History books, all 6 volumes. My Bissell family that came 1st to America in the 1600’s are in these books…others in my family are in there as well. 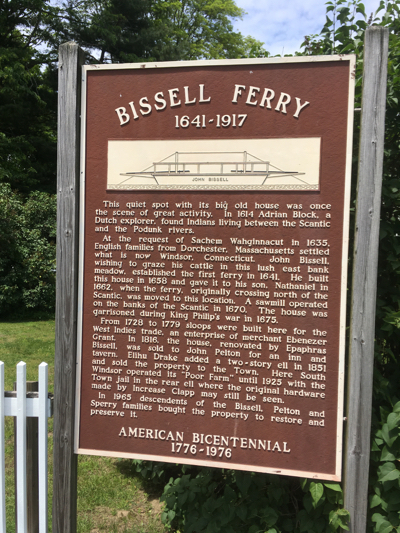 Great overview of Bissell’s Ferry. 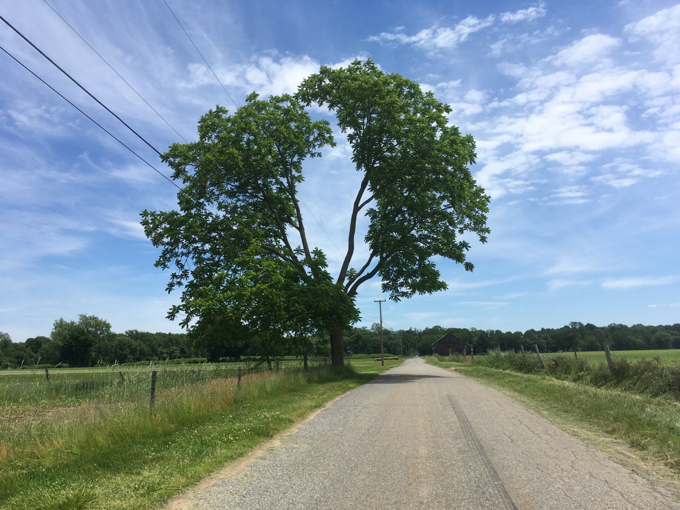 The original (1641) landing on the east side of the Connecticut River was in present day East Windsor; there’s an impassible Ferry Road opposite Southern Auto on Route 5, a little south of the Town Street Cemetery. 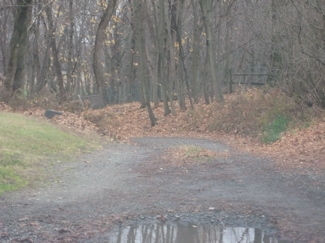 Bissell moved his ferry to what is now South Windsor in 1662, the site that you describe. East Windsor split away from Windsor in 1768 and included what is now East Windsor,South Windsor, Ellington, and parts of Vernon, Manchester, and Bolton. South Windsor separated from East Windsor in 1845; it still has the village and post office called “East Windsor Hill,” causing no end of confusion. Capt. John Bissell is at the beginning of my mothers family tree. All the people on Sharons list are on my tree! We traveled to and saw the old farmhouse-I am of the 12 generation of Capt.John Bissell-We were allowed to see the inside of the home and the mainfloor pub. My father was John Bissell also, and we have several books of Stiles Geniology -also enjoyed the visit to the Green on the other side of the river, and found Capt. John’s gravesite-have a picture of it.Quite the historical past. There are now about 8,000 of us from his parentage. I am a direct descendent of David Bissell from Sharon, who went to Canada after the War of Independence. Really enjoyed this info. In the mid 1970s it was my privilege to live in the newer part of the Bissell Ferry house on Ferry Lane, exactly one mile from the nearest house. It’s a beautiful and peaceful place. 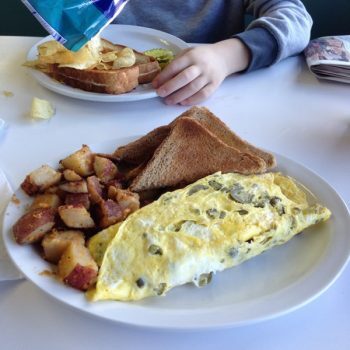 Thanks for the article on John Bissell’s ferry. Well done. My name is Rolf Bissell Parker – Houghton. I am writing a book about T. P. James, a spiritualist and apparent con man from the 1870’s. The editor who revealed some of James’s shenanigans in his paper in Brattleboro, Vermont, was probably Daniel Bissell Steadman. It is easy to assume that Daniel Bissell Steadman MUST be descended from Capt John Bissell, but is that definitely the case ? Is there really one and only one derived source of the Bissell name in America? If so, that would be great to know. Among other things it would mean that T. P. James was written about by two different descendants of John Bissell, both of whom live in Brattleboro, Vermont. Can anyone speak to this question? Are all Bissells liekly to be derived from Capt John? Or more specifically, if anyone can speak to Daniel Stedman’s descendance from Capt John Bissell, that would be great to know. It is true, as far as I know, that all U.S Bissells are descended from John Bissell of Windsor. Using the sources mentioned here I have traced my lineage through Benjamin Bissell. I am from the Pittsburgh branch, Frank Semple Bissell and his grandson by the same name. Absolutely floored with the ancestral connection we share….he is my 10th Great Grandfather. I come from the line of Clark Bissell the 34th Gov. of Conn. My Grandmother was also a Bissell. Cheers to all my cousins, many times removed! Capt John Bissell was my G Grandfather 11 generations back on my mothers side. We descend from Thomas, his second born son. I really enjoy delving into my relationship to Israel Bissell, Joseph Bissell(old north church), Melville Bissell(floor sweepers), William Bissell(Illinois Govr). I just learned that Capt Joseph Bissell is probably buried under The Old North Church! Fun Fun! Found all this very informative will need to visit these ! 1960 Our Bissell family was at the dedication of the Bissell Bridge. Our entourage from New York City and NY State was attending the Captain John Bissell 1628 Association meeting. My paternal Aunt Dorthy was the family historian at that time. 2016 Joined the Facebook group for Captain John Bissell – Connecticut. One member has done considerable genealogy work. 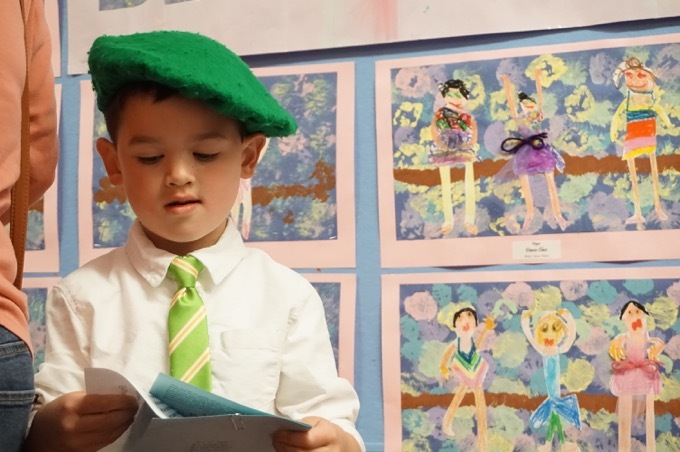 He recently found through both paper and DNA trails that his original theory of John Bissell’s family coming from France to England in approximately 1570 as Huguenot escapees, was incorrect. It seems that branch settled in Rhode Island and on other continents. The Captain John Bissell of Ferry and settlement of Windsor fame is instead of French descent prior to 350 years – 17 1/2 generations in Birmingham, England, arriving in Connecticut in 1628. TWO branches of Bissell’s in America’s New England, not ONE. Here is our generational tree to date, a work in progress. Sadly our dear Aunt Dorothy’s trunk full of historic records were lost. Welcome to our Facebook page to anyone who believes themselves to be of our line of Captain John Bissell of 1628, his immigration date to Connecticut.